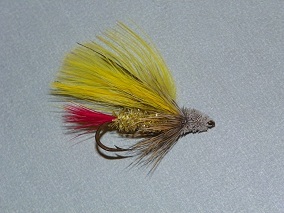 This month’s fly is the Yellow Marabou Muddler. The marabou muddler is a spin-off of the muddler minnow created by Don Gapen of Minnesota in the 1930s. It is a very good attractor pattern. Yellow is my favorite color to use and is very good at drawing out the biggest fish in the pool.